I love the back views of little heads! So sweet when they don't know we're trying to catch them "on film." Great shot! These sorts of 'early' pigtails are the best - and the cutest. Love it! I love how you captured the structure in the window too. Oh how super sweet I just love it & sure put a smile on my face. Very sweet, they even stick up in the air! 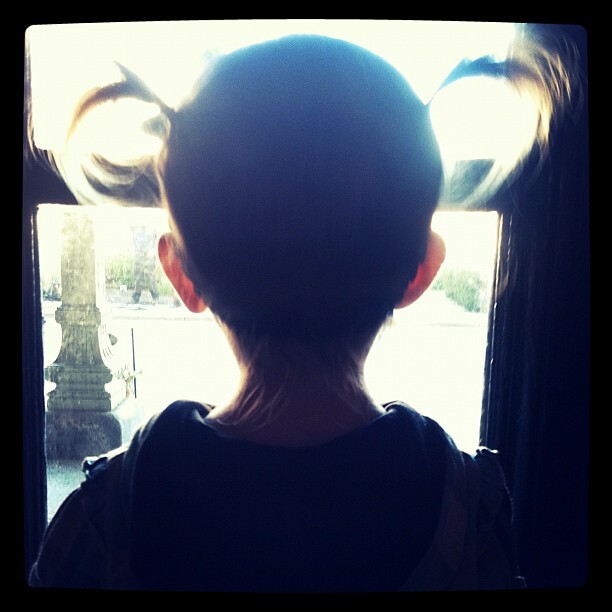 I can not wait until my little one has enough hair for pigtails! Oh my....how I love those piggies!!!! Thank you for your kind comment over at my place!! !